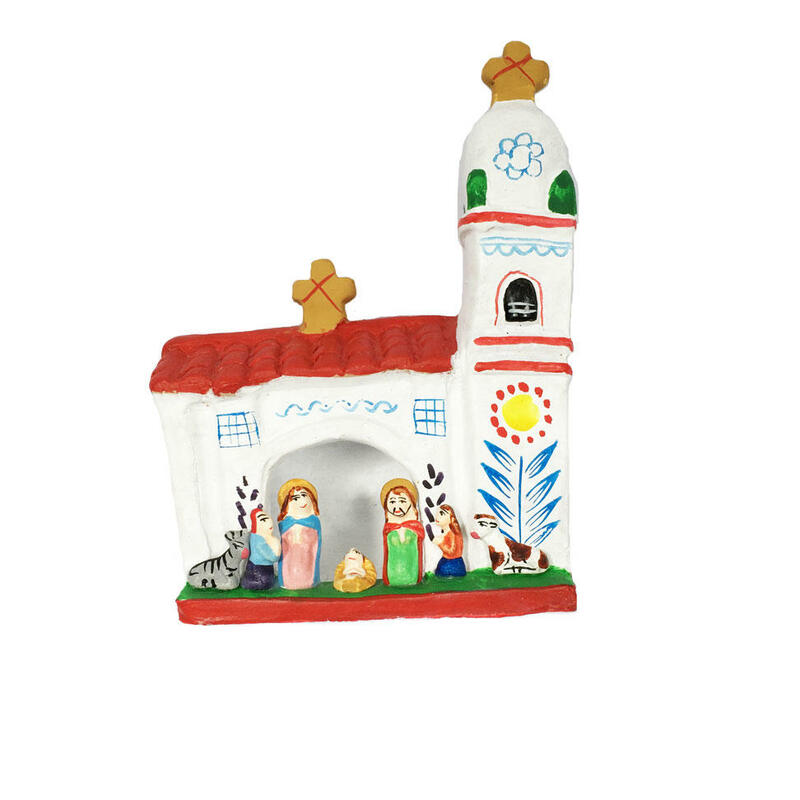 This is a beautiful piece of Peruvian folkart! Miniature ceramic Nativity scene, with beautiful detail including a tiny donkey, cow and baby Jesus! This is one of these pieces that you will get out every year and it will become part of your Christmas tradition.